HyperX announced it has designed IR communication channels into each of their new HyperX Predator DDR4 RGB modules which will allow multiple modules to sync in LED lighting. In other words, each DRAM module has an IR sensor on it in order to detect the stick next to it (during startup, the module furthest away from the CPU is determined to be the ‘master’). 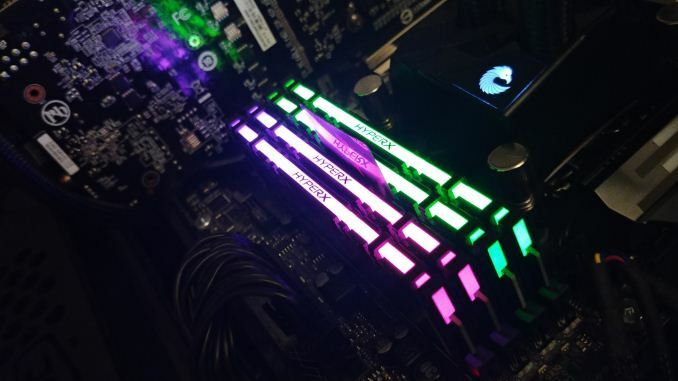 If the sensor is blocked, the RGB will be static. 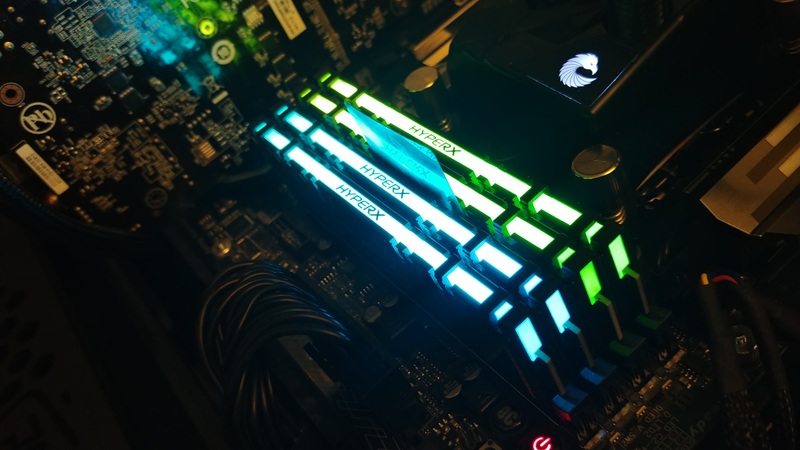 The reason for this method of sync, HyperX says, is because different motherboard vendors have different ways of implementing memory traces, which can affect RGB LED timing. 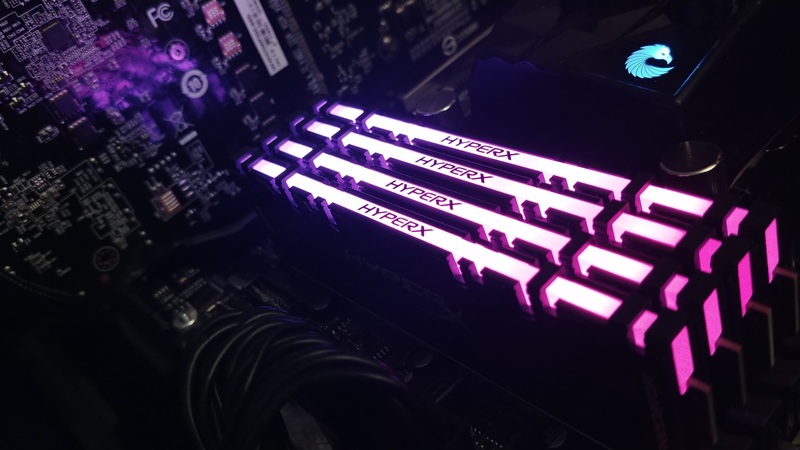 Motherboard vendors typically use either a daisy chain or a T-Topology design rule, which both have pros and cons when it comes to timing - with this IR method, HyperX says they can ensure that no matter what layout, the modules will stay in perfect sync. The sticks are powered by the DRAM slots itself so there isn’t a need for extra cables to light them up. The implementation of the IR sensor on each module syncs the LEDs with each stick negating the need for a separate controller. 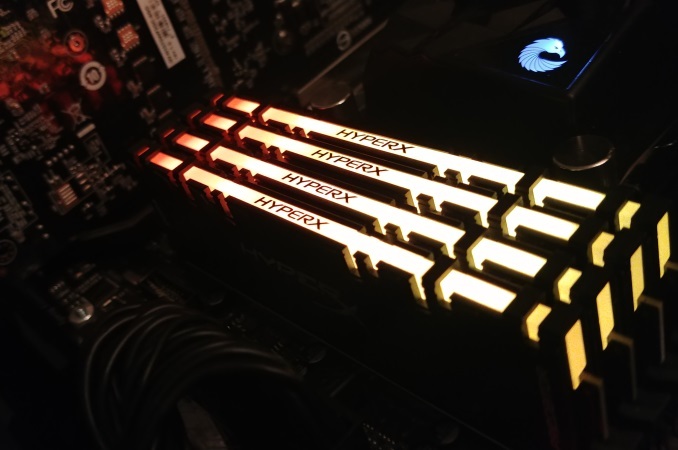 The HyperX Predator DDR4 RGB modules are designed to work with MSI’s Mystic Light, ASUS’ Aura Sync, and Gigabyte’s RGB Fusion for system RGB integration and support multiple lighting profiles. Pricing was not released yet, but HyperX did say it will add a small amount to the cost per module, but they feel it is worth it to ensure a perfect sync 'every time'. The HyperX Predator DDR4 RGB RAM is expected to be released in Q2 of this year. Supply and demand gets normalized sooner or later, because capacities get increased, manufacturing processes get optimized and improved. But just like in the HDD sector they dont want to. They love their little cartel, where they can dictate high prices. @ philehidiout - They can't lose what they don't have, right? WTH!!? I'm impressed they can now incorporate IR blasters in DDR modules but for lighting? Could it be more useless? What's the point of glowing memory modules anyway.. Take the damn leds off and reduce the price or add some extra memory.